39. וּמִנַּיִן יוֹדְעִים שֶׁהַקָּדוֹשׁ בָּרוּךְ הוּא מִתְרַצֶּה בּוֹ וְשָׂם בּוֹ אֶת מְדוֹרוֹ? כְּשֶׁרוֹאִים שֶׁרְצוֹן אוֹתוֹ הָאִישׁ (בְּשִׂמְחָה וּבִרְצוֹן הַלֵּב) לִרְדֹּף וּלְהִשְׁתַּדֵּל אַחַר הַקָּדוֹשׁ בָּרוּךְ הוּא בְּלִבּוֹ וְנַפְשׁוֹ וּרְצוֹנוֹ, וַדַּאי אָז שָׁם יוֹדְעִים שֶׁהַשְּׁכִינָה שׁוֹרָה בּוֹ, וְאָז צְרִיכִים לִקְנוֹת אֶת אוֹתוֹ הָאִישׁ בְּכֶסֶף שָׁלֵם, (וּלְהִשְׁתַּדֵּל אַחֲרָיו) לְהִתְחַבֵּר עִמּוֹ וְלִלְמֹד מִמֶּנּוּ. וְעַל זֶה הָרִאשׁוֹנִים הָיוּ אוֹמְרִים, וּקְנֵה לְךָ חָבֵר – בְּשָׂכָר שָׁלֵם יֵשׁ לִקְנוֹת אוֹתוֹ, כְּדֵי לִזְכּוֹת בַּשְּׁכִינָה. עַד כָּאן צָרִיךְ לִרְדֹּף אַחַר הַצַּדִּיק וְלִקְנוֹת אוֹתוֹ. 40. אַף כָּךְ אוֹתוֹ הַצַּדִּיק צָרִיךְ לִרְדֹּף אַחַר הָרָשָׁע וְלִקְנוֹתוֹ בְּשָׂכָר שָׁלֵם, כְּדֵי שֶׁיַּעֲבִיר מִמֶּנּוּ אוֹתָהּ זֻהֲמָה וְיִכְפֶּה אֶת הַצַּד הָאַחֵר וְיַעֲשֶׂה לְנַפְשׁוֹ, כְּדֵי שֶׁיֵּחָשֵׁב עָלָיו כְּאִלּוּ הוּא בָּרָא אוֹתוֹ. וְזֶהוּ הַשֶּׁבַח שֶׁיִּתְעַלֶּה בּוֹ הַקָּדוֹשׁ בָּרוּךְ הוּא יוֹתֵר מִכָּל שֶׁבַח אַחֵר, וַעֲלִיָּה זוֹ יוֹתֵר מֵהַכֹּל. מָה הַטַּעַם? כִּי הוּא גָּרַם לִכְפּוֹת אֶת הַצַּד הָאַחֵר וּלְהַעֲלוֹת כְּבוֹד הַקָּדוֹשׁ בָּרוּךְ הוּא, וְעַל זֶה כָּתוּב בְּאַהֲרֹן, (מלאכי ב) וְרַבִּים הֵשִׁיב מֵעָוֹן. וְכָתוּב (שם) בְּרִיתִי הָיְתָה אִתּוֹ. The Zohar explains that ‘Whose heart moves him’ from the verse above is the aspect of the Holy One that is in the heart of the person. When a person desires and seeks the Holy One with all his heart and might the Holy One comes and dwells in his heart with the Shechina, making him a Tzadik. The Zohar recommends to pursue this Tzadik and connect to him with full pay, come closer to him, and study from him because the Shechinah is with him. 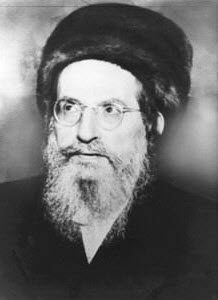 The duty of a Tzadik is to look for the wicked people and ‘buy’ them in full price, meaning putting all the efforts in transforming them into good. When the impurities are removed, and the control of the other side no longer affects that wicked person, it is considered as if the Tzadik created him. That elevates the presence of the Light in the life of the Tzadik. We should also look for those who are spiritually weak and make efforts to guide them into the Light. A salesperson approach is wrong in most situation and we should avoid that. We want to provide information and guidance when they ask for it. We help them raise awareness by asking questions. That would help them create vessels with desire for answers. The Zohar tells us that those who help a person break the control of the other side and become good, earn long life, blessings and protection from judgments in this world and the world to come. Connection to Tzadikim is very important, if you can be close to one in your life then it would benefit you greatly. We can connect to Tzadikim of the past by learning from their writings and life example. We light candles and ask their support on their Hillula day. The DZ Tzadikim projects are in continuous progress. B”H with time and budget we will add more info, stories, pictures, videos, and more. We will add also pages on great Tzadikim that don’t have a known Hillula day.